Home » Egypt » The Egyptian Triangle! The first sight of the Pyramids emerging from the dusty haze of the desert, is indescribable. Standing before them and gazing up at their mammoth proportions, you can’t help but marvel at the miracle of their geometry and the advanced knowledge of this ancient civilization. How on earth did they do it? 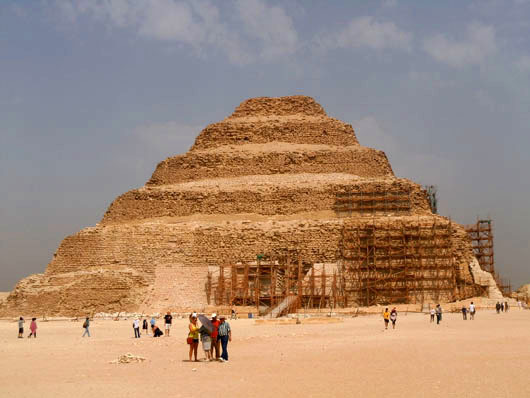 The Pyramids at Dashur and Saqqara are worth a visit to witness the first attempts at pyramid building. 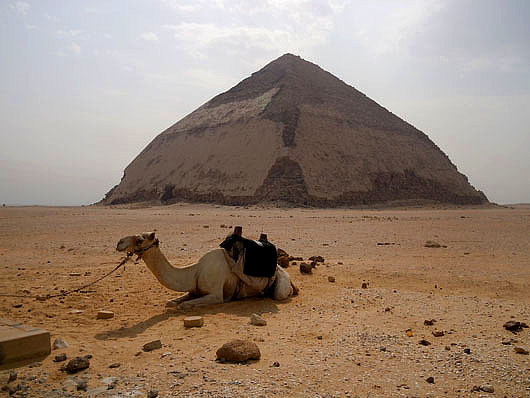 The Bent Pyramid in Dashur is believed to be the first true smooth sided pyramid …….that went a bit awry. 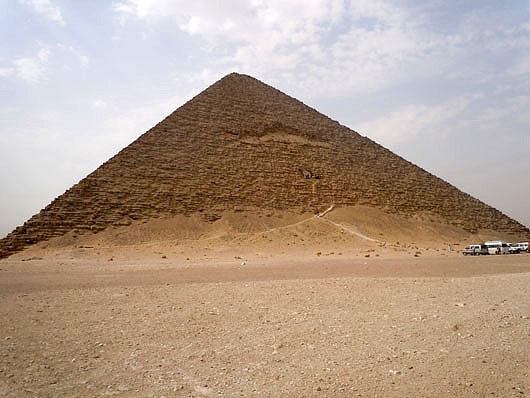 Snofru’s Red Pyramid is the world’s first successfully completed pyramid. 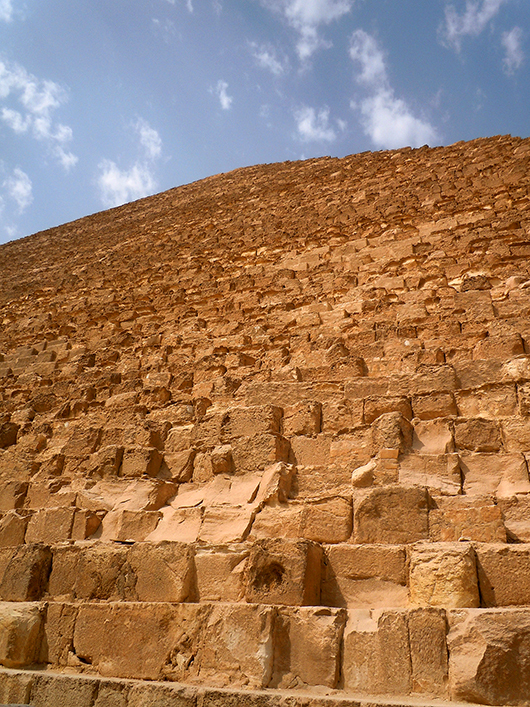 It is also the third largest pyramid in Egypt – after the pyramids of Khufu and Khafre at Giza. The inside is bare except for an interesting corbelled ceiling. Entry is included in the ticket, but be warned…..you climb in half bent over through a narrow passage and the stench of bat droppings assault your nostrils and burn your eyes. Khafre’s pyramid in Giza, built – cleverly – on higher ground appears larger but the Great Pyramid of Khufu (or Cheops) truly awe inspiring. My images barely do it justice. The considerably smaller pyramid of Menkaure, understandably takes a back seat. It was the tallest building on earth for over 3800 years! Construction date (Estimated): 2580 B.C.. 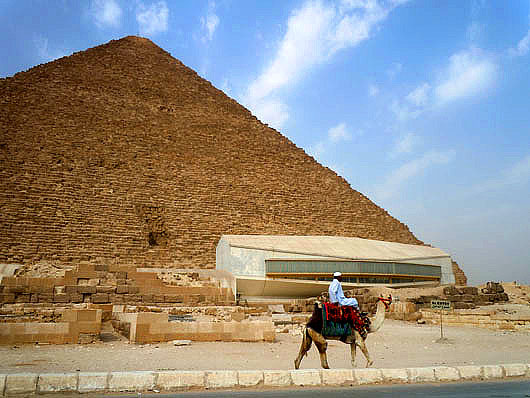 The base of the pyramid covers 13 acres, and the length of each side was originally 755.9 feet, but is now 745 feet. The original height was 480.6 feet tall, but is now only 455.4 feet. The outside casing stones are cut within 0.01 (1/100th) inch of perfectly straight and at nearly perfect right angles. And they were placed together with an expansion joint of 0.02 inch! All four sides of the Pyramid are very slightly and evenly bowed in, or concave. This effect, which cannot be detected by looking at the Pyramid from the ground, was discovered around 1940 by a pilot taking aerial photos. As measured by today’s laser instruments, these perfectly cut and intentionally bowed stone blocks duplicate exactly the curvature of the earth! The north-south axis (31 degrees east of Greenwich) is the longest land meridian, and the east-west axis (30 degrees north) is the longest land parallel on the globe. There is obviously only one place that these longest land-lines of the terrestrial earth can cross, and it is – incredibly – at the Great Pyramid! (Fact – very marginally off @ 29° 59′ N, 31° 09′ E)! Using existing ratios, calculations of the length of the year is expressed as the present and universally agreed 365.2422 days, accurate to 8 digits. Remember that the actual length of the year when the pyramid was constructed was not the present 365+ days, but 360 days! The three Pyramids exactly simulate the stars Delta Orionis [Mintaka], Epsilon [Alnilam], and Zeta [Alnitak] that comprise the Orion Belt! If we take a cross-section through a pyramid we get a triangle. If the pyramid is the Great Pyramid, we get the so-called Egyptian Triangle. It is also called the Triangle of Price, and the Kepler triangle. This triangle is special because it supposedly contains the ‘Golden Ratio‘ (The ratio of the slant height to half the base) considered a near impossible feat. The Great Pyramid is supposed to ‘Square the Circle’ and also contain the ‘Golden Ratio’!! Astounding to say the least! Our feeling of reverence is justified. Egypt on your mind? Here’s more fascinating stuff from this amazing country. 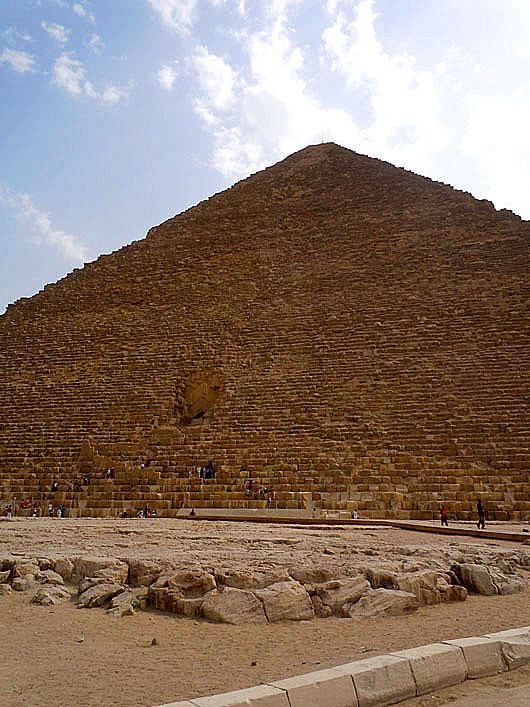 Great pictures , great info ….. Cant wait to go see the pyramids myself and experience that feeling of reverence that you have so beautifully described in your blog ….. The pyramids of Egypt are indeed one of mankind’s greatest creations. It always fascinates me how technologically advanced those ancient Egyptians were. 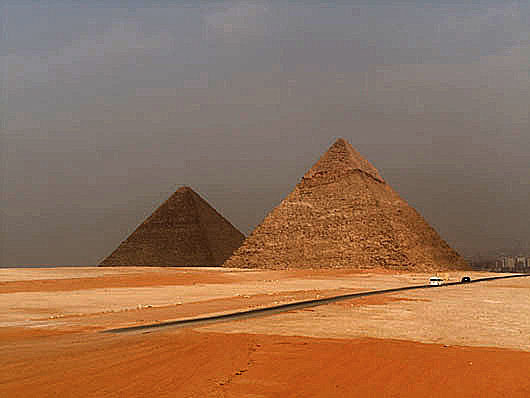 I’ve always put the pyramids as one of the man-made structures that I have to see by myself one day. Great pictures…..looking forward to more pictures. 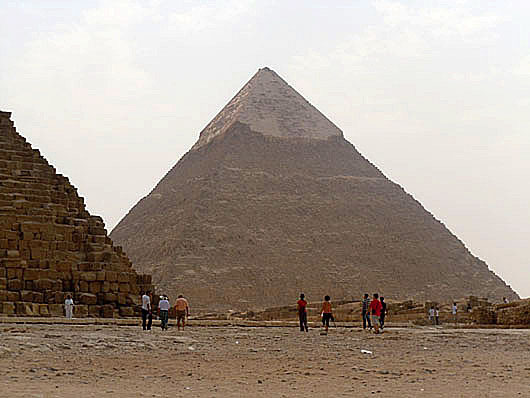 One of the theories gaining traction is that the pharaohs built these huge pyramids as a bluff because they wanted their people and foreign countries to think they were more powerful than they really were. Pharaohs claimed to be gods so they had to at least be buried somewhere cool. The fact that they put up a structure like that, proves they definitely had advanced skills – maybe more advanced than the present day- if not much military prowess! Yes they were awesome! But the rest of Egypt is even more so especially if you are a history buff! Really appreciate your feedback and the compliment! Thank you so much for compiling the facts! Stunning information! I’m also stunned by the advanced skills and knowledge they had back in 2580 BC. I just love how no matter how bad the situation in Egypt gets, my country still manages to strike awe into everyone around the world. Thank you for reminding me to be proud of my heritage! It’s absolutely mind-boggling that they had such advanced knowledge (or practice) of maths and science over 4000 years ago. Egypt has been on my to-do list for so long, but the recent political problems have kept us away 😦 Your post makes me want to go and witness these amazing structures even more!